This drawing (50 x 65 cm's) I made for an acquaintance. It was my present when he opened his Ferrari (hence the red accent) workshop many years ago. He is still and strongly convinced that the Ferrari is overtaking the 2F, but I know it is the other way around. Of course. A 2A at speed. My digital drawing instruments here: Photoshop and a Wacom tablet. 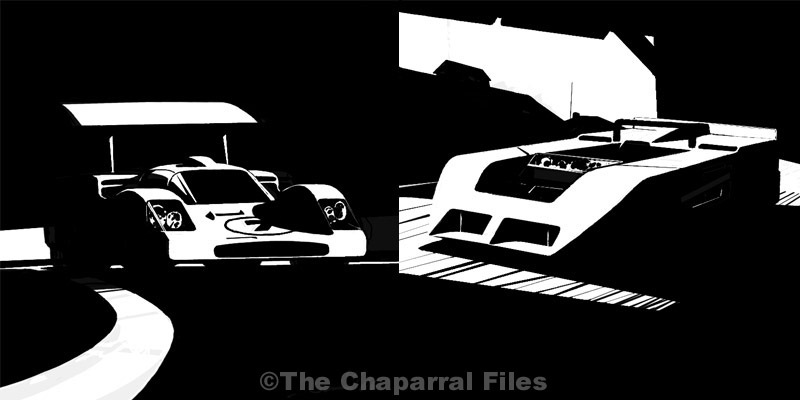 Apart from the 2K and the Meister Brauser 1, Chaparrals are white as we all know. Sometimes I wonder what those cars would look like in dramatic contrast with a lot of black. That's why I made this rough study (2H, 2F at night, 2J). Maybe one day I'll make some paintings this way, using just black and white. Well, I decided not to wait too long and made these black and white drawings in Photoshop. Interesting detail: I didn't use any reference material when producing these shots. I only used my memory. So maybe some details are not too accurate but the overall impressions are okay in my opinion. Vanished Chaparrals: how the 2H should/could/would have been if..
After two full days of Photoshop painting/copying/pasting/retouching I can proudly present the world's first impression of the coupe version of the Chaparral 2H, captured in the pit lane at Bridgehampton, the second race of the season, September 1968. For many years I wondered how this car, that never appeared in public, would have looked like at the circuits. Well, now we know: pretty damn good! For this exercise, I loaned the back ground picture from Dave Friedman and a 2H snapshot taken by Jim Hall. The only thing that's probably wrong is the steering column. I have no information about this part. So I had to improvise a little. All the rest is very close to reality and puzzled together from bits 'n pieces. For extensive information about this car see: The 2H Mystery. 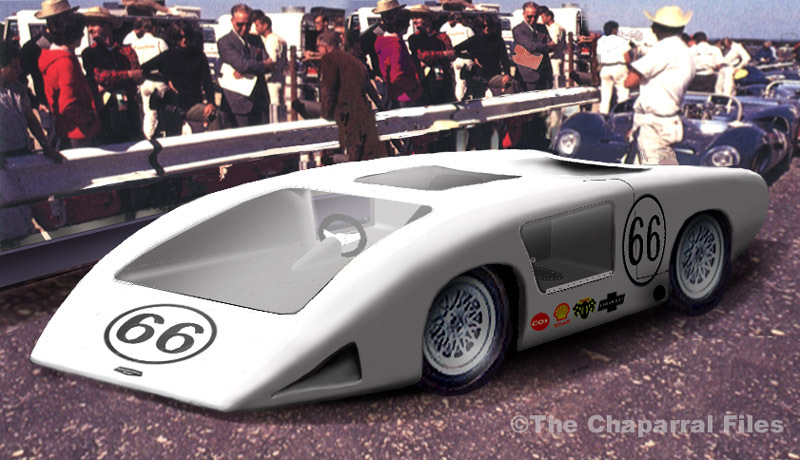 In my opinion the Chaparral 2C of 1965 was one of the most beautiful racing cars ever. It was a development of the GS11b, an aluminum Chevrolet R&D chassis. It featured the first and famous 'flipper' wing at the tail, operated by the driver's left foot. The car was entered in just two races. Hall won the first one (his last victory in motor racing) and crashed in the second race. For the next (and first CanAm) season the chassis was rebuild to become the 2E, the car with the first high, suspension mounted wing. It was subsequently developed into the 2G of 1967/68. 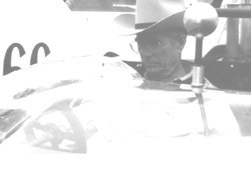 In Las Vegas the chassis was totalled in a crash which ended Jim Hall's driving career. Some pieces of the wreck were used to restore the second 2E chassis of 1966. So some parts of the car in my drawing still exist in a rolling chassis but its beautiful lines cannot be seen anymore in real. The 2A is often mistaken for the 2C since the 2A was equipped with the flipper tail as well on some occasions. There a two distinct features to identify the C or A: the 2C is all white whereas the 2A has the brown GRP chassis (the lower half of the car between the wheelbase), and the 2C is missing the big scoops directly behind the side windows. My drawing features the 2C with the flipper in downforce position. I have never seen photographs of this car in racing action with the flipper in low drag horizontal position. In the Seventies I already felt the 2G did run much too long, for too many seasons. Later, when I learned the truth, I knew I was right and why. In "Chevrolet = Racing? ", Paul van Valkenburgh reports some interesting details about the development of the initial aluminum 2C (= 2E001/2G001) chassis: "Also, it worried the drivers because of the noise it made. It was not until the tub was twisted in the lab to measure torsional stiffness that the engineers really appreciated this, as heavily loaded panels warped and popped like giant 'mechanical crickets'. The chassis stiffness tests verified that the 2C was as rigid as the 2(A), although the fatigue resistance was an unknown, and while the mechanics were worried about repairability, the drivers were concerned about crash-ability." In the end, aluminum chassis 001 ran for three full, stressful CanAm seasons and it's existence ended in a violent crash which completely destroyed the car in a fire. The sole 2G was build from the one remaining 2E(001) chassis after Sharp destroyed 002 at Nassau in 1966. Hall decided to soldier on alone in CanAm. 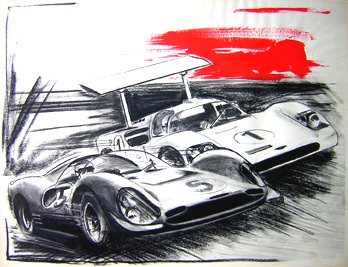 Design work on the 2H had begun already in 1967 and racing it was scheduled for '68, so it is logical to believe that the 2G was meant from the beginning as an interim car for '67. 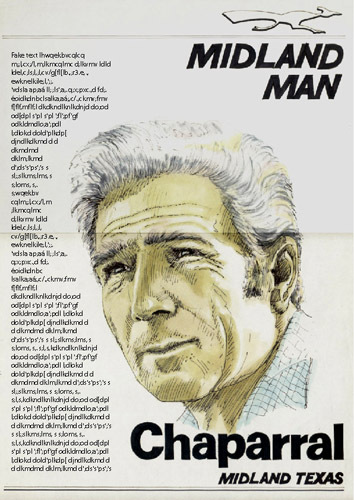 Because of serious development troubles with the 2H (see The 2H Mystery), the 2G had to cover yet another season. The 2C chassis was not intended to be run with the Big Block engines of later years. In the chassis' ultimate '68 form, you could see this monster was overdeveloped. Constantly, much improvisation was needed to stay competitive with the McLarens. Horsepower was ever increasing through the years. The wheels grew much too wide for the original, narrow 2C chassis and therefore 'truck fenders' fore and aft were needed. Even on the black and white photographs of the period it is clear that the preparation is not up to, until then, immaculate Chaparral standards. The car simply doesn't radiate confidence, it lacks shininess and panels don't seem to fit. In Falconer's book Troy Rogers and Franz Weis confess a 'real hurry up job'. I still wonder if the chassis' initial torsional stiffness and fatigue resistance was sufficient in later days. And I've always had the feeling that the 2G years are not the happiest of Chaparral's history. It even marked the end of Halls' active driving. 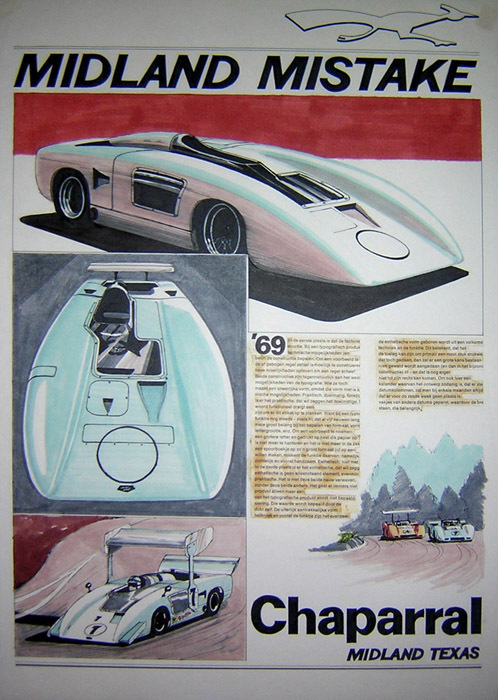 Nevertheless I like this car as much as any other Chaparral. Sometimes an early '67 2G is mistaken for a 2E. No need to: the 2G can be simply identified by it's 2F style cowling ducts directly behind the doors. Two designs with marker illustrations I made in the pre-Photoshop/DTP era. There was one other, framed and intended as a present to Jim Hall, but it was stolen during The Festival of Speed at Goodwood (England, edition 1997), where I met Jim Hall, Phil Hill, Troy Rogers and Augie Pabst amongst others, see Goodwood 1997. I hope the new owner has still a lot of fun with it and in the mean time did turn into a Chaparral Chap as well.